Read the review of BreezeIVR app, a comprehensive customer care app which simplifies getting connected to the customer care services or IVRs of major brands. Learn how this app can help you till the last step of connecting to the customer care executive and also maintains all the major contact customer care numbers, USSD codes, SMS keywords and email address local at your fingertips. You can judge a company not only by the quality of products but more so by the quality of their after sales service. Any company that is committed to customer satisfaction will provide an easy to reach customer support and a well trained customer care staff. However, if you are trying to reach the customer care through, it can be a challenge to get the contact details and also reach an actual person in case of Interactive Voice Service system. Typically, if an appliance or gadget stops working, it may be a quick fix for a service person but finding the phone number of the customer service and reaching out to the support person through the long menu in the IVR is the most time consuming problem. Some consumer companies cut cost by limiting the number of customer support staff and that will result in extremely long wait in the phone. The team behind BreezelVR too faced the same problem. "I had to listen to the IVR for almost 5 minutes before I arrived at the right option. I was hating IVR interaction by that time," says one of the founders of Breeze. They started working on a solution and that gave birth to BreezelVR, a visual customer care app that works on Android, iPhone and Tizen. BreezelVR solves a lot of problems associated with reaching out to customer care in day to day life. Let's explore this app in detail. I would like to say that 5 minutes is still less than what most of us have to spend before connecting to the customer care! 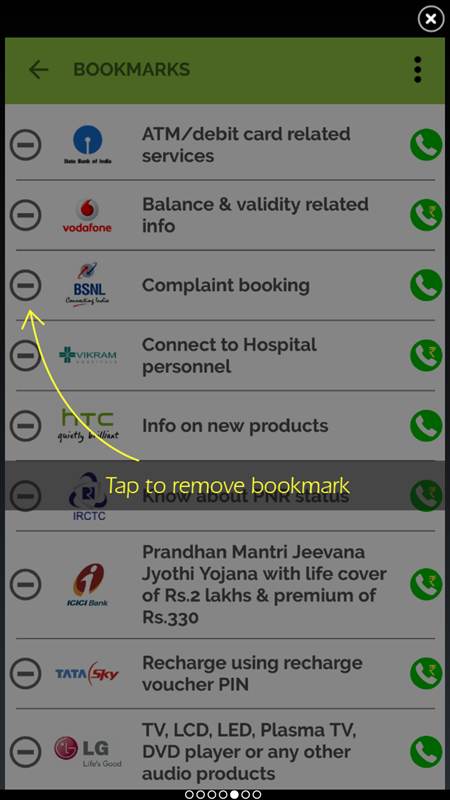 To deal with this frustrating wait, Breeze team decided to make an app which would not only act like a directory having the customer care contact details of all major Indian companies but also provide a feature that would automate the task of navigating through the IVR and getting you connected to an actual person on the other side of the line. BreezeIVR is the app that Breeze team came up with which acts as a directory for your service center number, SMS codes and email addresses. It helps you "browse" the menu of IVR on the app itself and only when you chose to connect to an actual Customer Care person does it make a call.Check out the link for the BreezeIVR App Download. The app downloads the list of all companies from its server database when you launch the app for the first time. After that the list is accessible even in offline mode and whenever you go online again it will update the list if there are any changes or addition/deletion. Presently, the app has more than 200 companies in its database which are neatly arranged in categories and there is a search option as well with which you can quickly navigate to the company you are trying to find details for. 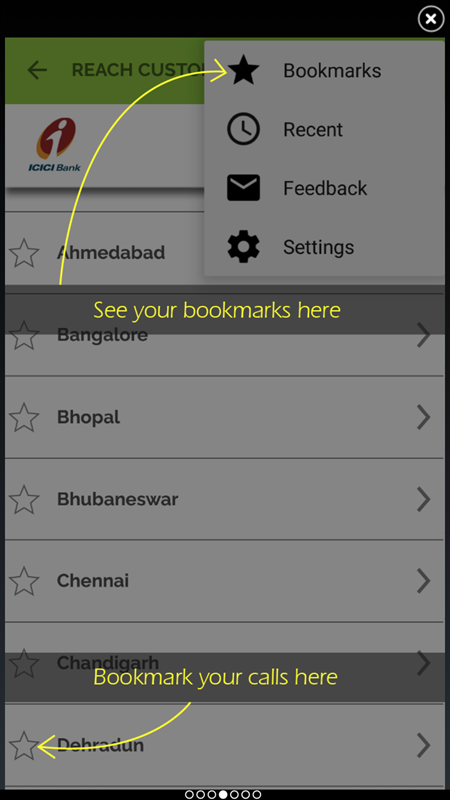 You can also bookmark your IVR selection if you feel you might need it sooner or later again. The app remembers your frequently used IVR details so that you can quickly use the same again. This app is beneficial for both the end users as well as the companies since it helps the users to quickly find solutions for their queries/problems and helps companies keep the users happy by providing a comprehensive customer service directory which helps in quick resolution of issues. Presently the app is free for both individual users and companies. While the app may remain free for individual users, developers may introduce a premium plan for the companies. It makes sense as a sustainable business model. One thing you should note though, not all customer care numbers are toll free. While mostly 3 digit numbers like "121" are toll free from your mobile, many companies provide paid numbers for customer care where your normal call charges apply. 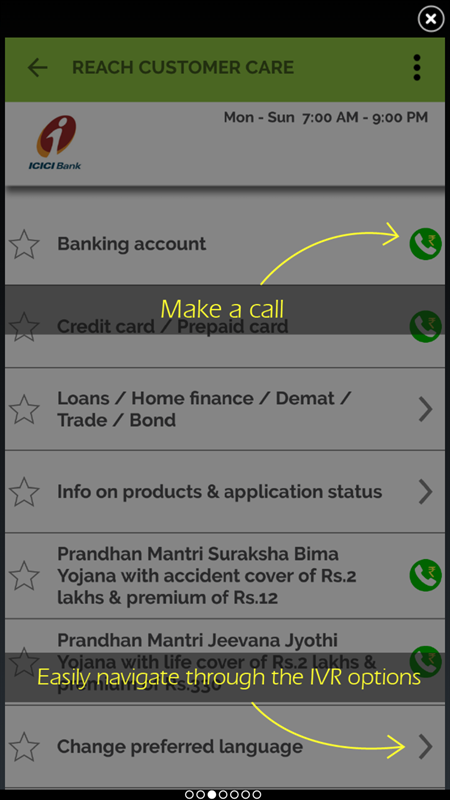 BreezeIVR helps you in such situations by highlighting which calls will cost you and which will not. Download and install the BreezeIVR app from the link given above. Make sure you are connected to internet and launch the app. If it asks for location permission, allow it so that it can customize your service numbers according to your location and language. You should now be able to see a large number of company logos. Enter the company name in the search bar at top to search for the company you are looking for, I looked for Vodafone, my cellular service provider. Now you should be able to see one or more company logos matching that name. Click on the logo and you should now be able to see various options related to the company just like the image below. Now just select what you would like to do. If it is Email or SMS you will get the email address or the SMS keyword along with number respectively, otherwise if you want to call, you can click on the call icon and a call would be initiated which would be automatically given IVR input until you reach the customer care executive. I have no hesitation to say that BreezeIVR is a must have app for everybody in India who owns a smartphone. We are all surrounded by products of many different brands and sooner or later we need to connect to these companies in some way. It might be just to get the USSD code to get your talktime balance or to connect to a customer care executive of your washing machine company. The needs are many but the app is one. One minor issue that I did face with the app was that since I live in Maharashtra, the default language getting selected during the IVR call was Marathi, but though I have been living here for 2 years, I have not yet learned the language. So, I wanted to change the default language to select in IVR which I was not able to do. This issue is only with the IVR of few companies and hopefully we will get a solution to this soon. Are you ready to get started? Here is the quick link to get BreezelVR.